HDR from 3 shots (+2, 0, -2). 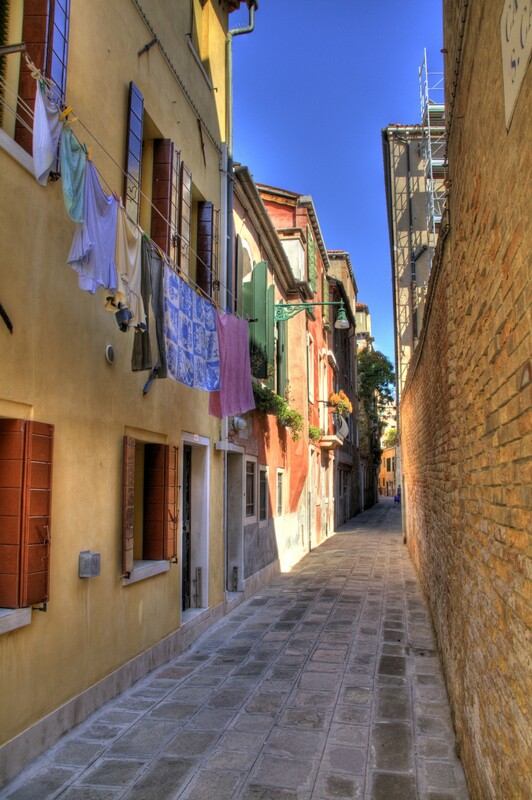 This is a little alley in the sestiere Cannaregio in Venice, Italy. The clothes drying over the alley are really representative of those mediterranean countries.